Delta Italians Influence on the Blues – Urban Legend or Reality? Almost lost to the annals of time, there’s a particular story of Italian immigration that most of us haven’t heard about in a history class, nor read in book, nor listened to as we squirmed at nonna’s knee. It’s a story of struggle and strife, of discrimination and toil, of hardships and sorrows played out in the fertile black soil of many a cotton field in the American South…the Delta to be exact. Sound familiar? If you think I’ve had a bit too much…ummm..coffee while I write, and most certainly confused my history facts, bear with me. Although this seems to be a recounting of the plight of slaves in the southern regions of the United States in the 1800’s, this, too, is the tale of Italian immigrants brought to the land-of-cotton for the same purpose. 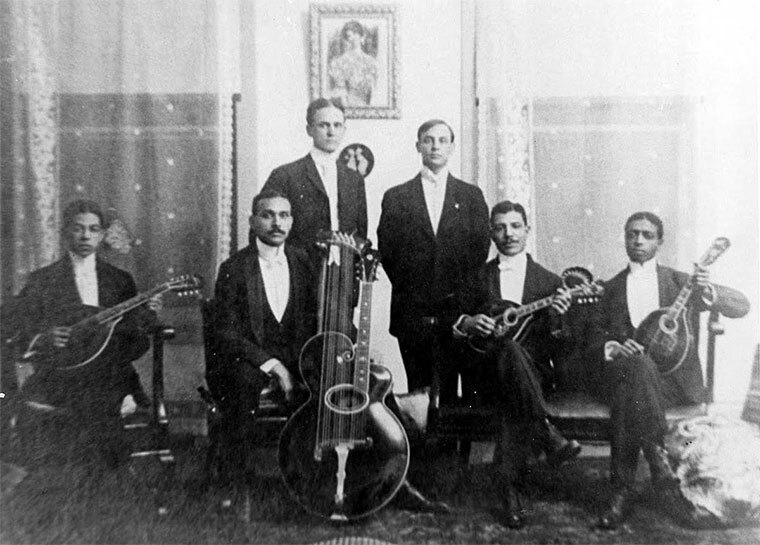 A brief history lesson will set the stage for another facet of this piece of yesteryear — the improbable but very possible connection of Italian influence on the birth of the blues. Post Civil War conditions found plantation owners wanting for labor. While some slaves stayed on as tenant farmers, many sought a better life through opportunities in the north. A creative series of replacement labor forces were tried, but each experiment fell flat for various reasons. Along came a steely business man by the name of Austin Corbin, who also happened to own sizable amounts of crop land in Arkansas and Mississippi sorely in need of workers. Mr. Corbin negotiated a profitable arrangement with Italian diplomates to bring the experienced farmers of the middle regions of Italy, including Marche, Emilia-Romagna, and Veneto, to the Delta as laborers with the promise of land ownership, a share of the harvest, and a chicken in every pot. And as with many “sounds too good to be true” endeavors, it was. Ninety-five Italian families arrived at Corbin’s Sunnyside Plantation in 1895, and the life that awaited them was not much better, and probably quite a bit worse, than the mezzadria system of indentured servitude they had left behind. These displaced souls found themselves looking at extended years of labor before any ownership of land would be conferred…twenty-two years, to be exact. The share of the harvest was a mere five percent…if conditions allowed any sharing at all. All entities such as the cotton gin, the railroad, and the company store were — you probably guessed it — owned by the plantation. The Promised Land quickly became The Problem Land. While toiling in the cotton fields, there is no question that these Italians worked alongside their counterparts — the freed slave now working as a sharecropper. They lived segregated lives of sorts, but their plight was mutual. They knew the same hardships, suffered the same discrimination, bore the same conditions of malaria, flood, and hunger; theirs was a kinship of survival. Paul Canonici, affectionately known by today’s Italian descendants in the Delta as The Patron Saint of The Delta Italians, has written two books —“The Delta Italians” (2003) and “The Delta Italians – Vol. II “(2013) — telling his personal story as a first-generation child of Italian Immigrants to the Delta, as well as the history of this era of Italian immigration, including multiple other personal stories gathered over the years. Paul’s passion for this ongoing endeavor was ignited on his first trip to Italy in the early 1970s, specifically the Marche region where his parents had set forth as indentured farmers at the turn of the 20th century. The discovery of direct relatives still living in the Marche and stories soon to be lost led him to begin the chronicling of these Delta Italians. Had it not been for that fateful journey, the rich stories of the families who sacrificed so much in hopes of a better life might have become nothing more than a whisper on the Delta wind. I was able to visit recently by phone with Paul, and one of our topics included the possibility of the influence of the Italian immigrants on the development of the Blues, that music of suffering and pain that found its beginnings in the cotton fields of the South. These barrel houses were the precursor to what became known as juke joints, the hot seat for some things a bit on the shady side, but for other things quite grand such as the development of the blues. 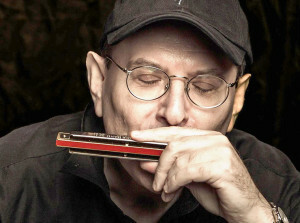 There is another line of thought, however, on this topic presented by award-winning Italian blues harmonica player Fabrizio Poggi. Fabrizio shared his theory with me recently, of which he has written extensively on in several Italian publications, as well as in his book “Lost Angels of Mississippi”. Fabrizio recounts much of what he learned in “The Delta Italians” and the hardships endured by his own countrymen as he sets the stage for his thoughts on an Italian-American blues connection. 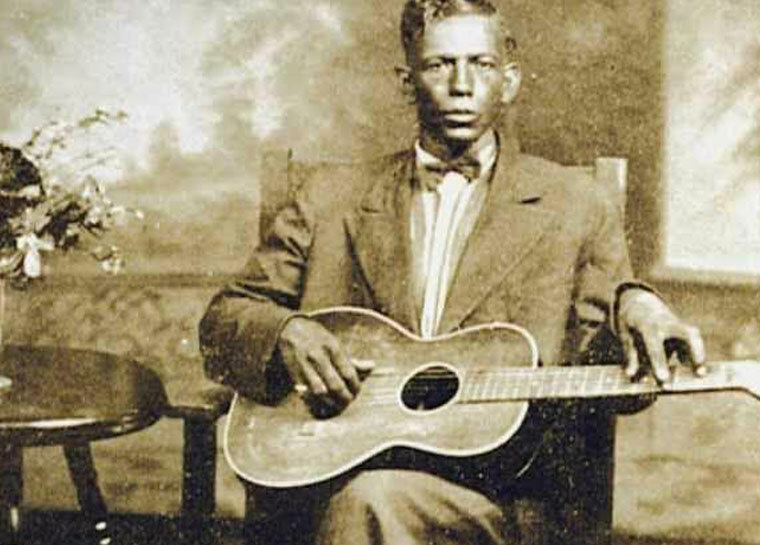 Upon reading “Escaping the Delta” by Elijah Woods and “Robert Johnson: Lost and Found” by Pearson and McCulloch, Fabrizio conceptualized a theory proposing that what is considered the earliest known recordings of the blues is in reality a derivation of what the black sharecroppers played. He adds, “No one really knows what was played in Mississippi in the 20’s…and many suspect that what was put on discs is the result of cultural manipulation of the record companies.” That is, a controlled sound that the record companies felt would reach a broader, and somewhat biased, audience. He goes on, adding that there are photos showing black musicians holding and playing the mandolin, an instrument most assuredly sporting Italian roots, that was wildly popular in the blues genre. Fabrizio’s context is that this particular part of the blues was purposefully left off of by record company labels who didn’t want to have the association of an instrument linked to Italians, a people outwardly discriminated against at this time. 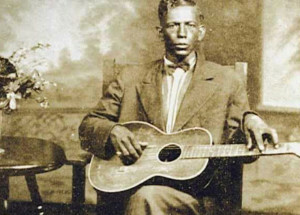 Fabrizio continues in his article with other exposés of evidence to support his belief in this bond of cultures, including a bit of blues history featuring one of the earliest, Charley Patton – “Father of the Delta Blues” – who played every Saturday night at the plantation of Will Dockery in Cleveland, MS during the time of the highest influx of Italian immigrants to this area. Patton went on to mentor many a great such as Robert Johnson, Fiddlin’ Joe Martin, and Howlin’ Wolf — and most certainly the Delta Italians were there. Take it or leave it, the true story will never be known. But certainly it grabs and causes pause for reflection — sharecroppers from two different lands, two different cultures, bound together in the hardships of toil and struggle. And what better than music to sooth the savage breast? This entry was posted in The Delta Italians and tagged blues, blues foundation, Delta Italians Influence on the Blues, italiani e il blues, italoamericano, l'Italo Americano, mario rota, mississippi, paul canonici, Paula Reynolds, spaghetti juke joint, the delta italians fabrizio poggi.